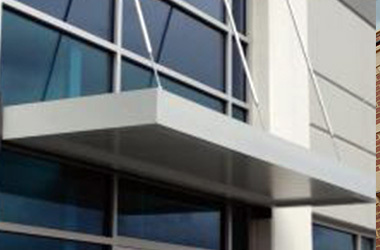 MASA Architectural Canopies is one of the leading providers of canopies and awnings for storefronts in the entire country. We originally targeted the high-growth northeastern megalopolis, and we now have three 44,000 square foot facilities. One of them is located in New Jersey, we have a location in Pennsylvania, and there is a MASA production facility in the state of Florida. At this point, we have over two decades of experience, and our reach has extended nationally. In fact, we are the only company in the country that is certified to deliver sealed engineered plans in all 50 states. 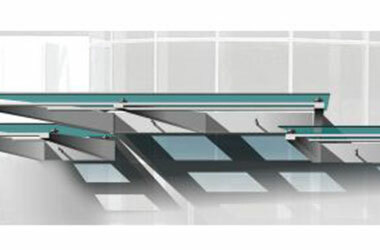 There are others in the industry that offer generic fabrications, but we are in a totally different league. Our awnings and canopies for storefronts are the right choice for people that value originality, innovation, durability, and overall quality. 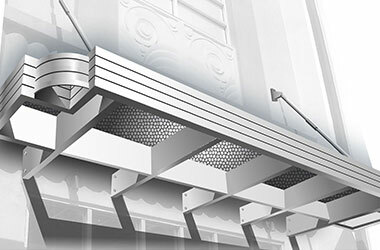 We provide comprehensive, turnkey solutions for our retail clients that are looking for storefront projections. The first step is the design stage. As we have stated, we custom-craft creative solutions for each and every client. 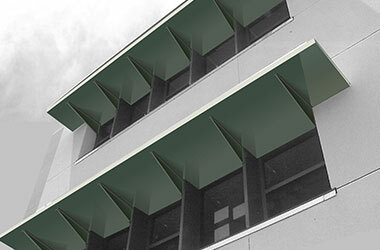 We have highly experienced, talented designers and cutting-edge architects in-house. These creative professionals work closely with our clients to create beautiful, functional awnings and canopies for storefronts. Once a design is in place, it is time to begin the building phase. We have complete control of the manufacturing process within our own organization, and everything that we produce is made right here in the United States. The last stage is the installation portion of the project. Our company is equipped to handle installation assignments of any size or scope, and our expert technicians in the field are second to none. When many people hear the word “quality” used to describe a product, they immediately assume that there will be an exorbitant price tag attached. In fact, our very efficient processes allow us to offer high-end canopies and awnings for storefronts at very competitive prices. We place an emphasis on top notch customer service as well, so we provide rapid turnaround times on bid requests. Our consultants are readily available, and they are knowledgeable professionals that answer all questions thoroughly. Plus, we have a very useful Design Library on this website that can help you conceptualize your project. 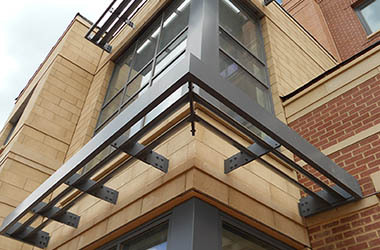 If you would like to get in touch with MASA Architectural Canopies, call us at 800-761-7446 or send us a message through our contact page.